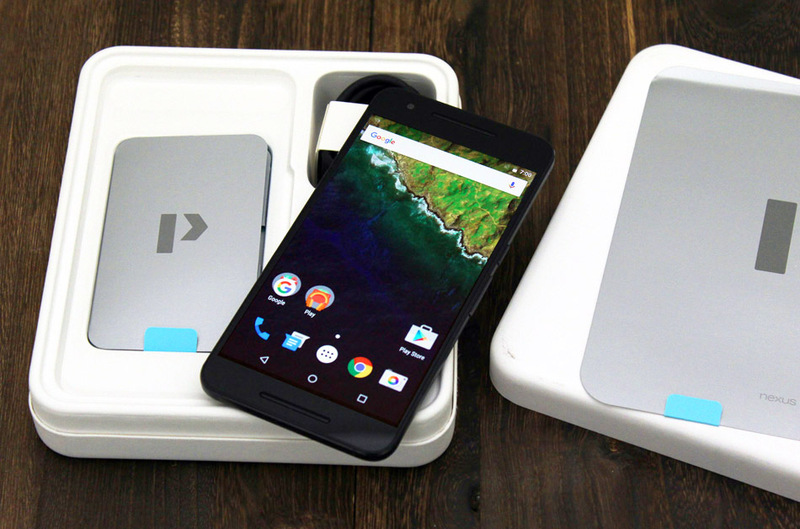 It’s time to throw everything you thought you knew about Nexus phones out the window. 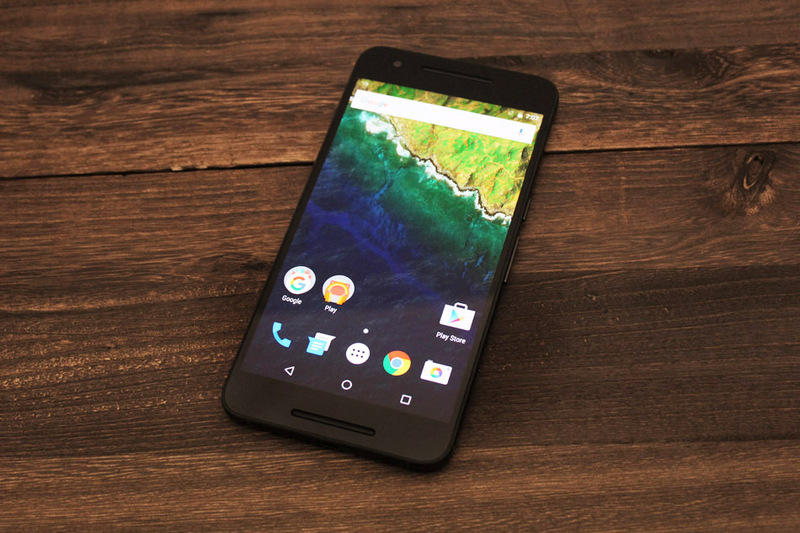 For the first time, we’re actually interested in a Nexus phone as a worthy piece of hardware. 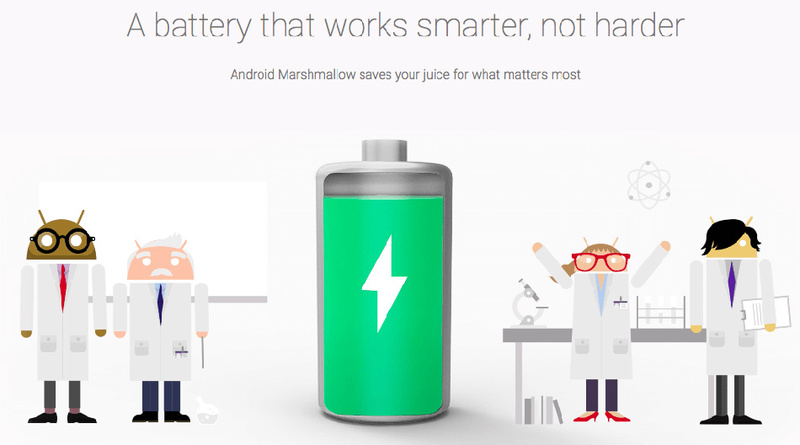 And we haven’t even gotten to the warm, gooey bit at its core that is Android 6.0 Marshmallow. Before this, Google’s Nexus phones were intended more as a showcase of the latest version of Android as opposed to any real demonstration of performance or design prowess. Nexus phones shipped with the most updated Android version, but they were equipped with mid-tier specifications – just enough for some decent performance, but nothing in the same league as a flagship phone from the likes of Samsung or Apple. The designs were likewise utilitarian – just look at the matte, all-black body of the LG Nexus 5 – although, as a trade-off, the phones were usually considerably more affordable than high-end phones from other manufacturers. Everything has changed with the release of the Huawei Nexus 6P, the larger and more powerful of the two Nexus phones Google released this year (the other being the LG Nexus 5X). The Qualcomm Snapdragon 810 v2.1 processor it uses is found in other flagship phones like the OnePlus 2 and Sony Xperia Z5, and it sports a 12.3MP camera with large 1.55μm pixels for improved low-light performance. Furthermore, the polycarbonate back of the Motorola Nexus 6 has made way for a compelling all-aluminium design that shows off some truly impeccable craftsmanship on the part of Huawei. But before we get into the review, here’s some news: pre-orders for this phone are completely sold-out. Yes, that happened minutes after the pre-order opened. 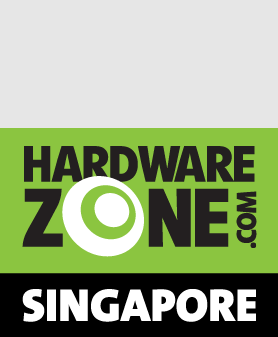 Either way, when they do come back in stock, local customers will only be able to choose from either 64GB (S$949) or 128GB (S$1,049) versions of the phone in Graphite or Aluminium. Google first ventured into phablet territory with the Motorola Nexus 6, but that phone was in all honesty, a tad bit oversized with a near 6-inch screen. It was better suited to two-handed use, which made it slightly clunky to use. Fortunately, Huawei has rectified this with the Nexus 6P, which uses a 5.7-inch screen with narrow bezels. While it is the same length as the Nexus 6 (159.3 x 83 x 10.1mm), Huawei has shaved millimeters off the 6P’s (159.3 x 77.8 x 7.3mm) width and thickness. That may not seem like much, but the result is a phone that can be used quite comfortable with just one hand. It’s also quite comfortable to hold, as the gentle contours on both sides of the phone’s rear conform to your hand pretty well. Build quality also feels absolutely top-notch, and we’d put it in the same league as Samsung’s latest Galaxy line of phones. 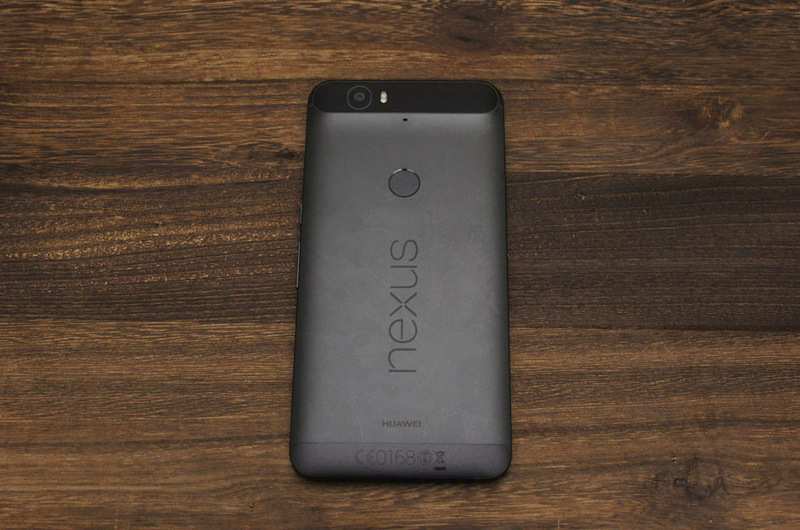 If you saw this unflattering video about the Nexus 6P’s build quality, fret not. As The Verge pointed out, it’s not a fair indicator of the phone’s structural integrity because of the fiery treatment the reviewer put it through, and the phone ended up bending along the heat marks. The smooth aluminium back of the phone is interrupted by a camera bump at the top. The camera apparatus is housed in a slightly raised section at the top and is covered entirely by Gorilla Glass 4, so it should at least be fairly resistant to major scratches (although Gorilla Glass is not impervious to invisible microscratches). We had the Graphite version of the phone, so the black camera protrusion did not stand out as much. However, with the lighter-colored Frost and Aluminium versions, you might find it a bit more jarring. Nevertheless, it’s clear that Huawei has put quite some thought into the design, such that it looks more like an intentional design decision rather than an unavoidable practicality stemming from the need to accommodate components like the auto-focus laser and NFC coil. Furthermore, because the entire phone is constructed out of aluminium, Huawei has apparently used the glass window to circumvent possible signal issues as well. 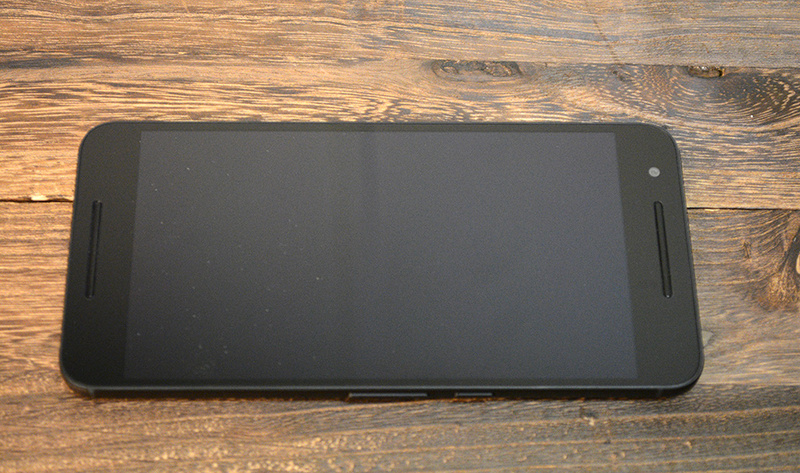 Antenna lines also mark the top and bottom edges of the phone. The entire front of the phone is covered by a sheet of Gorilla Glass 4. At the bottom edge, there is a dual front-facing stereo speaker grille in the place of where the hardware navigation buttons usually are on Samsung devices. 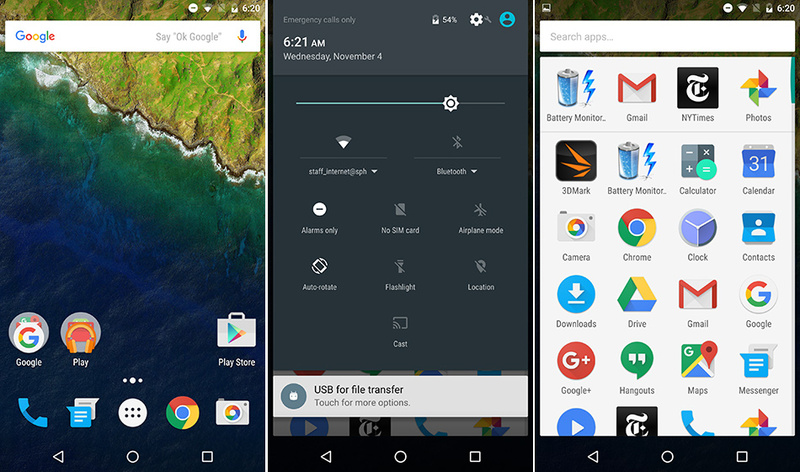 Like the Nexus devices before it, the Nexus 6P’s navigation buttons – including the home button – have been relocated to onscreen navigation elements. If this were a smaller phone, we’d have complained that the buttons take up valuable screen real estate, but the 6P’s 5.7-inch screen means that there’s plenty of room to spare. Sure, we could be greedy and demand the use of all the available space, but it’s really not a big deal. Another thing we noticed is that the speaker is virtually indistinguishable from the call speaker. This creates a nice symmetrical look, save for the 8MP front camera at the top. It may not seem like much, but it suggests some much appreciated attention to detail on Huawei’s part. However, the absence of the home button does mean that Huawei has had to find some place else to locate the fingerprint sensor. That place is a nifty little depression on the back of the phone, which turns out to be an excellent position that is both easy and intuitive to access (perhaps even easier than the more traditional home button placement). Regardless of whether we were retrieving the phone from a bag or fishing it out from a pocket, we found that we could access the reader with little difficulty. Its performance was also just about flawless. In our time with the phone, the fingerprint reader read and registered our prints in a heartbeat. Orientation was also a non-issue, and we were able to get our prints authenticated regardless of the direction. In fact, we found that we didn’t even have to perfectly cover the sensor to get our print recognized. 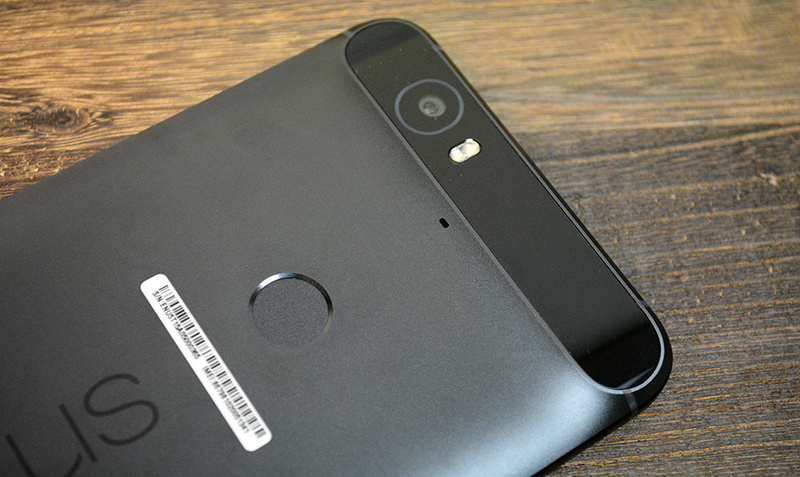 Google and Huawei is calling the reader technology Nexus Imprint. If you care about the technical details, the sensor is actually a FPC1025 from Swedish company Fingerprint Cards AB, powered by algorithms from another Swedish firm, Precise Biometrics. This is the same sensor that is used in phones like the LG V10, the Huawei Mate S, and the OnePlus 2. While giants Samsung and Apple both rely on solutions from different companies – Synaptics and Authentec respectively – it’s safe to say that the vast majority of smartphone manufacturers have finally figured out how to get fingerprint recognition done right. 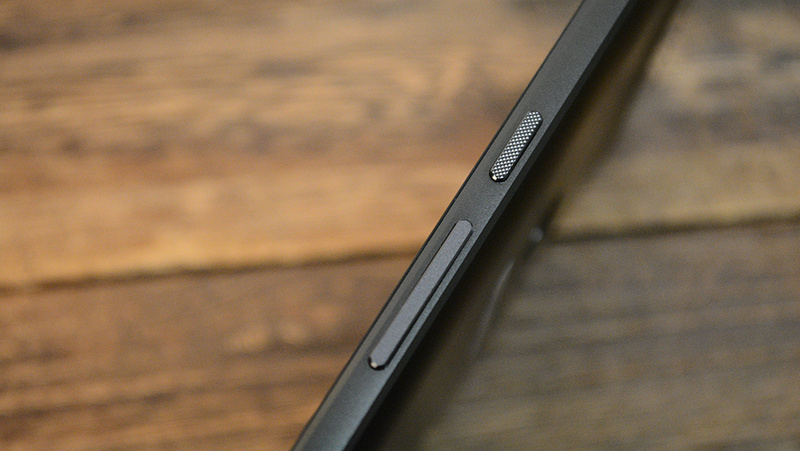 The power and volume rocker buttons are located on the right edge of the phone. Frankly, we’d have preferred for them to be located on different sides of the phone as we found that we were often mixing up the volume up and power buttons. The power button is overlaid with a crosshatch texture, presumably for easier identification, but its proximity with the volume button still means that mix ups are inevitable. 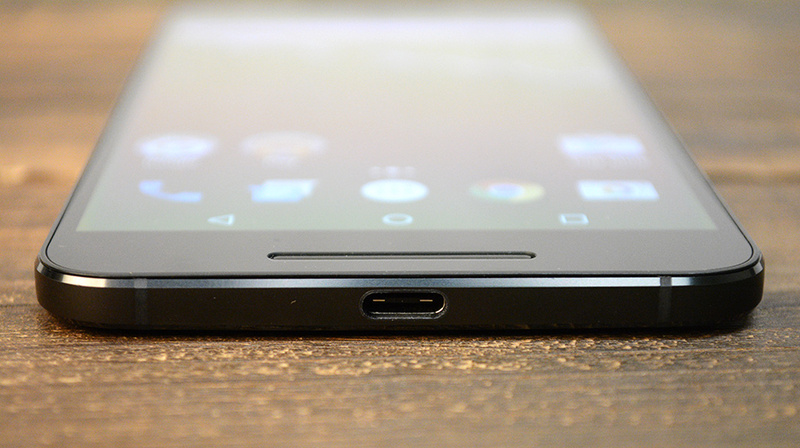 Finally, the Nexus 6P comes with a USB Type-C port for charging and data transfer. The reversible design is a welcome improvement over micro USB for sure, but we couldn’t help but wonder if the phone is a little ahead of the times. USB Type-C devices aren’t that common yet, which means that USB Type-C cables are still something of a rarity. So if you forget to take your cable with you, or if you lose it, you won’t be able to borrow one from just anybody. Don’t be expecting USB 3.0 or 3.1 transfer speeds from the Type-C port though, as the Nexus 6P supports only USB 2.0 transfer rates. 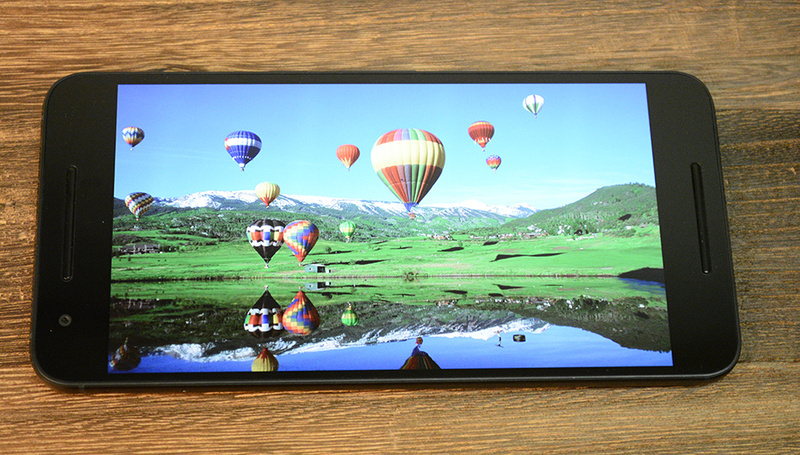 The 5.7-inch AMOLED display has a resolution of 2,560 x 1,440 pixels, which translates to a pixel density of 518ppi. This puts it slightly behind phones with smaller displays like the Galaxy S6 (577ppi), but on par with the Galaxy Note 5. Of course, the Sony Xperia Z5 Premium completely hits it out of the park with its 5.5-inch 4K display, but you aren’t going to be able to pick out any pixels on the Nexus 6P. The team behind the Nexus 6P confirmed that the phone uses the latest generation display panels from Samsung, which accounts for its quality, but they did not indicate if it was the same as that used on the Galaxy Note 5. Nevertheless, out-of-the-box colors are rather vivid, and as is typical of many AMOLED screens, can appear a tad bit oversaturated. This is really a matter of personal preferences, but if you’re like this reviewer who prefers more muted tones, you may find that these vibrant, retina-searing colors are not exactly to your liking. Fortunately, you can rectify this somewhat with an sRGB color mode under ‘Developer Options’, which must be enabled manually. To do so, you need to tap the ‘Build number’ seven times in the ‘About phone’ section. ‘Developer Options’ will then appear under your ‘System’ options, and you can enter the sub-menu to enable sRGB mode, which will tone down the colors somewhat and give you more accurate color representations. The front-facing stereo speakers were certainly loud enough, but were otherwise unremarkable. However, it’s nice to have the music pumping in the right direction, instead of piping out the back or base of the phone. The strongest selling point of all Nexus phones has always been access to the most updated version of pure Android. Back when Nexus phones were lesser devices that were not intended to compete with the best of flagship phones, this was what helped them appeal to fans of the stock Android experience. And while the Nexus 6P has strong hardware to fall back on, Android 6.0 still comprises the core of the phone’s experience, and is probably the key reason why you are even considering the device. We’ll be posting a separate review on Marshmallow later on, so do keep a lookout for that. 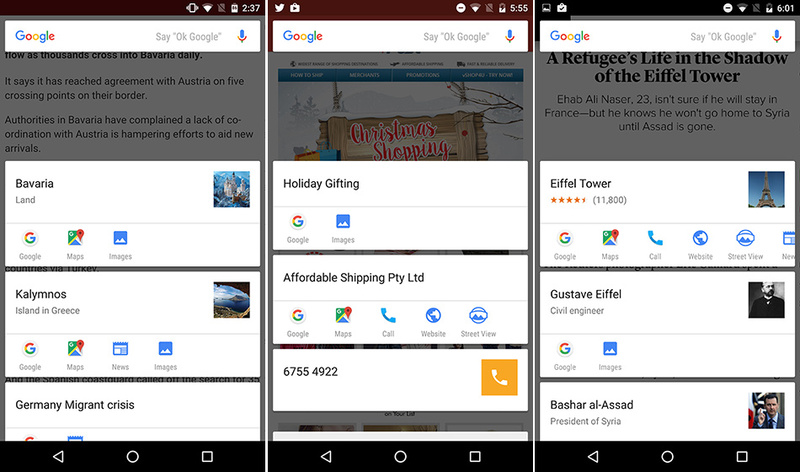 You’ve probably heard of Google Now on Tap, a nifty feature that is supposed to intelligently capture whatever’s on your screen now and suggest relevant follow-up actions in the form of cards. We say ‘supposed’ because while the feature does work, it wasn’t exactly the smartest in honing in on the important phrases or facts that we wanted to find out more about. There were even times where we got the message that it was unable to come up with anything. But to be fair, this didn’t happen too often. However, the slightly-less-than elegant name aside, Now on Tap is intended to be a quick way to gain additional contextual information. We definitely appreciate the intentions behind it, and it could indeed be very useful – when it focuses on the right thing. It’s good with picking out general terms and headers, but you may be out of luck if you’ve focused on something more specific on the page. Flaws aside, we feel confident that these are only early days for the feature, and that we’ll see improvements further down the road. 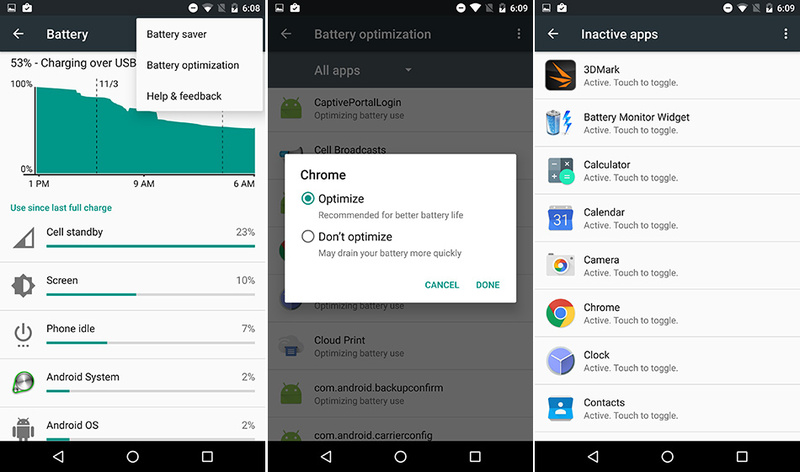 Android 6.0 has also prioritized battery savings with a couple of new features. 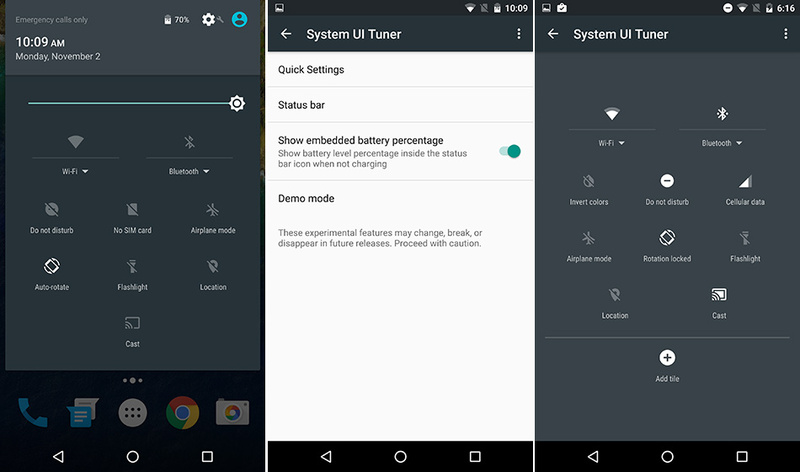 These are under-the-hood changes, so you won’t notice that they’re there, except when you realize that your phone’s battery isn’t draining as much when it’s asleep. Doze essentially puts your device to sleep and cuts off all network activity when it’s been sitting still for some time, so the next time you pick it up, all the notifications will come rolling in at once. Because your phone needs to be idle for an extended period and not have been moved, this means that Doze mode will not be engaged even if your phone is just swinging around in your bag (because of the movement). There’s just one problem. Certain apps are able to bypass Doze if they have been set as ‘high-priority’, and it’s app developers and not users who get to decide which is which. As a result, it’s entirely possible that you may not benefit as much from Doze because app developers have decided to allow their app to work over the feature. Furthermore, the natural tendency for developers would be to simply enable high-priority notifications regardless (greater app presence, yay! ), and we simply don’t like the idea of developers dictating what happens on our phones. On the other hand, App Standby targets apps directly by putting unused apps to sleep. Alternatively, if you have an important app that cannot be silenced at all, you can manually disable the feature for select apps under ‘Battery Optimizations’ in the main ‘Battery’ menu. Unfortunately, as with Doze, developers will also get a say in which apps will be affected by App Standby. A separate list of inactive apps can also be found under 'Developer Options'. This feature reminds us of Greenify, an app that lets you manually hibernate specific apps and cut off network access to them. App Standby is really a built-in version of Greenify, and regardless of our qualms about developer meddling, it’s nice to see a native solution being built into Android at last. Finally, you get to choose your Quick Settings toggles and select which notifications get displayed in the status bar. You can also drag around the tiles to rearrange them to your liking. This ability is actually hidden, and has to be activated manually, although we’re not quite sure why. To enable it, you need to pull down the notification shade and hold down on the wrench symbol for the ‘Settings’. You’ll then get a pop-up toast messaging notifying you that you’ve enabled the System UI Tuner, which you can then access at the bottom of the main ‘Settings’ menu. If you’re like us and prefer to be able to see the exact battery level in the status bar, you can enable this in the System UI Tuner as well.